A man named Colin Steer moved to Plymouth 24 years ago. Colin noticed a strange thing on his home's floor, and since then, he became interested to know what is it. Colin Steer conferred that he was fixing his floor and replacing the beams when he saw a little division and it looks like it is filled with the foundation of his house. 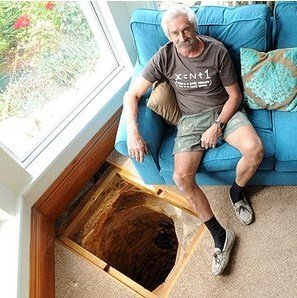 "I dug down about one foot and saw that it was a well, but my wife just wanted to me to cover it back up because we had three children running around at the time. I always wanted to dig it out to see if I could find a pot of gold at the bottom, so when I retired at the end of last year that’s what I did." 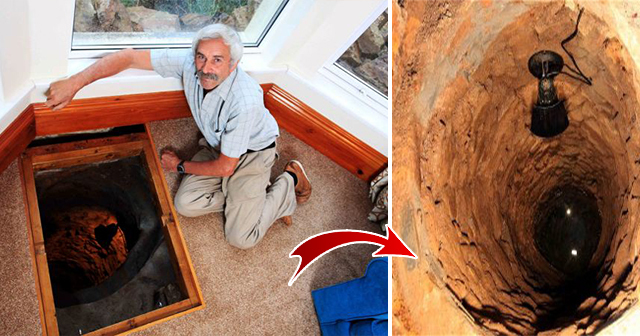 It took him three days to clean and unravel the old well beneath his house's floor. 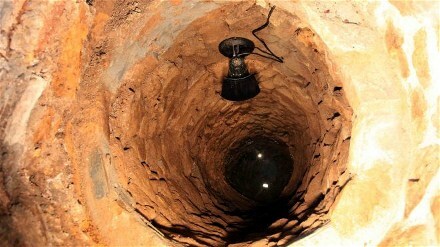 He used a bucket and a rope to pull up the debris and other stuff in the well, but he was surprised when he found something long and solid at the bottom. 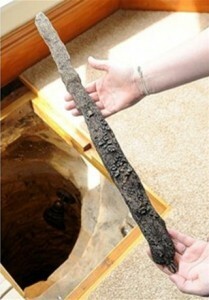 When he reached maybe at about 5 feet below, he discovered and pulled an old sword. 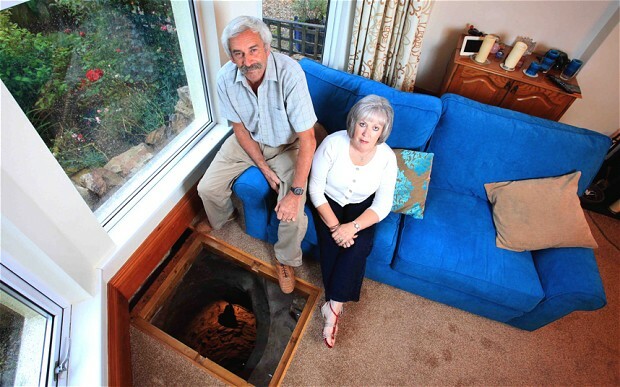 "It was hidden at a 45-degree angle and just fell out. It looks like an old peasant’s fighting weapon because it appears to be made up of bits of metal all knocked together." Colin believes that the well is about 35 feet deeper but he already stopped digging at 17 feet. Mr. Steer was curious about the sword's era and history so he did some research to find out more information and find someone who can answer his questions. For now, Mr. Colin Steer turned the well inside his house into a miniature museum-like by putting some designs and decorations such as lights, and he also built a trapped door into its opening. "I love the well and think it’s fascinating. I’d love to find out who was here before us. I’ve got a piece of Plymouth’s history in my front room." So what o you say about this article? Comment down in the comment section. Thank you and please share!